Book Three of the Hylnan War Trilogy. This book is also available in the Collected Edition: The Gates of Rhillai. In Rhillai there is no High King, and the nine dukes of the realm fight amongst themselves for the coveted seat. 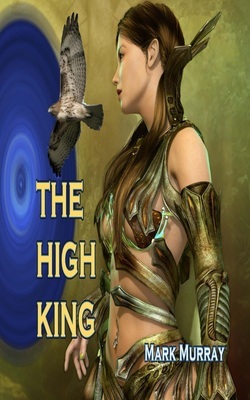 Alisandra, a powerful mage, wants nothing of it and she plots to put a puppet on the throne… someone that she can control. But in her attempt, she opens a Gate to another world and provides entry to the Hylnan - an alien race bent on destroying everything in sight. Caught in the midst of the mayhem are the Warders - the sworn protectors of these magical Gates. Using their abilities to shape shift they fight against the oncoming power struggles in an attempt to save their world. One thing is certain for all living on Rhillai - The end of the Hylnan War is at hand, and the most unlikely people will find themselves bound to one another to fight their common enemy.